Computers have been around for longer than many of us can imagine and they have a large impact on our lives today. To better understand the computer or phone you are reading this on we have to look all the way back to the early 1800’s to see just how far technology has come in 178 years. 1837 – Charles Babbage invents the Analytical Engine, the first general-purpose programmable computing engine. accomplishment in 1837. It had an area to hold results and could output results in several different ways, including printout, punched cards, and graph plotting. Ada Lovelace loved mathematics in a time when intellectual pursuits was not widely encouraged for women. She was a lifelong friend of Babbage and when he began working on his Analytical Engine she was integral to his success, she translated a french memoir for on Analytical Engine, understood the plans as well as Babbage, and helped him program it when it was finally built. George Stibitz demonstrated the CNC at an American Mathematical Society conference held at Dartmouth College. Stibitz performed calculations remotely on the CNC (Located in New York City) using a Teletype terminal, it was remote access computing. 1945 – The ENIAC is completed. The Electronic Numerical Integrator And Computer (ENIAC), the world’s first fully electronic general-purpose computer. Its team, which included 6 female mathematicians who programmed the computer, created a computer that was used overcome the challenge of the tedious mathematical calculations needed to produce artillery firing tables for the Army. It cost $500,000 ($6,595,842.70 in 2015) weighed 30 tons (15 adult elephants), and took up 2,000 square feet of floor space. Doug Ross, a researcher at MIT, connected a Flexowriter teletypewriter to an MIT computer, its low cost and flexibility confirmed the usefulness of a keyboard. This pathed the way for development of keyboards like the ones we use today. A team of computer manufactures and the Pentagon developed the programming language COBOL which aimed for easy readable programs and as much machine independence as possible. 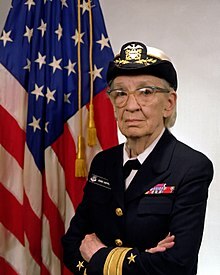 This team included United States Navy Rear Admiral Grace Hopper, who was a programmer and would advocate for women in the technology field throughout her life. Douglas Engelbart invented the first mouse, it had a wooden base, used two wheels to roll back and forth, and was the first mouse to fit the human hand. Its name came from the fact that the cord that ran from the mouse to the computer looked like a mouse’s tail. This computer was the fastest computer in the world at the time, and 10 small computers to offload work from the central processor. The ARPAnet was the ancestor to the internet. It was the brainchild of Bob Taylor who thought of it when he constantly had to move to different computer terminals to talk with researchers from M.I.T. or Berkley. It’s like it your phone could only call one number and to call another number you had to get another phone. When it was completed in 1968 it was the first computer network. The MITS Altair 8800 was the first ever personal computer, it was a build it yourself kit for hobbyist but soon became so popular that began to sell them fully assembled. The program language used to program the Altair was written by Bill Gates and Paul Allen, it would become the founding product of Microsoft. Designed by Steve Wozniak and marketed by Steve Jobs, the Apple 1 (Pictured left) was a single-board computer for hobbyists, but when a Mountain View computer store The Byte Shop ordered 50 assembled systems Wozniak and Jobs started a new company called Apple Computer Inc.
With a power supply keyboard, case, manual, and cassette tape with the game Breakout, the Apple found popularity beyond the hobbyist community. When connected to a color television set the Apple II produced brilliant color graphics for the time. Before 1981 Personal Computers were mainly for businesses or hobbyist but they were brought to the average person when IBM released their IBM Model 5150. Built to compete with IBM’s stranglehold on the computer industry the Macintosh was the first successful mouse driven computer, it came with a drawing and word processing program for $2500. Apple had tried creating a portable laptop before, with little successes but the PowerBook had a internal floppy drive and built-in trackball and sold with great success until 2006 when it was discontinued. The ThinkPad of 1995 bears an uncanny resemblance to the ThinkPads of today and when it was released it had a full-sized keyboard and a small screen attached. The keyboard folded into three pieces and was dubbed “The Butterfly”. A colorful desktop that was a big change from the gray, black, and white of previous years, the iMac was easy to use and saved Apple from near-bankruptcy in the mid-1990’s. It also the first new product released under the leadership of Steve Jobs. Apple introduced the Macbook Air, the first ultra notebook, it was light, thin, with a high capacity battery. It had a camera, Wi-Fi capabilities, and was the first mass-market computer to use solid-state disk. The Macbook Air was the first in today’s modern laptops and left many companies trying to catch up for years to come. The first in a line of Tablet-Laptop hybrids the original Surface Pro contained the Windows 8 operating system, weighed two pounds and used a solid state drive to make the computer very small. It allowed people to write on it like a piece of paper and became the first in the Tablet-Laptop hybrid market.